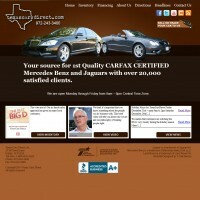 All of our sites are custom built to our client’s specifications. We do not offer “cookie cutter” sites. When you decide to use 1 Call Service, you meet with one of our talented web designers who will help walk you through the initial stages of the site design. After the initial meeting, our graphic artist will start work on creating a website mockup, based on your preferences and ideas. Once you approve the design, our web designer/developer takes over and moves your site from a mockup image, to an actual functioning website. At this point, we give you training on how to use your site (video screencasts, conference calls and/or in-house training) so you will be comfortable editing and updating your site. 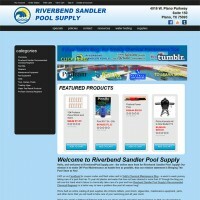 Your one stop shop for all your pool testing and supplies needs! 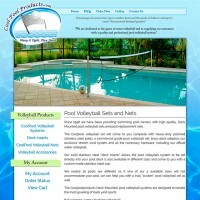 High quality custom built pool volleyball systems! 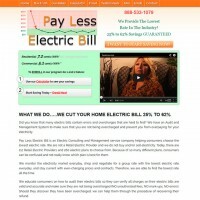 Electricity brokers to cut your electric bill 25-42%!